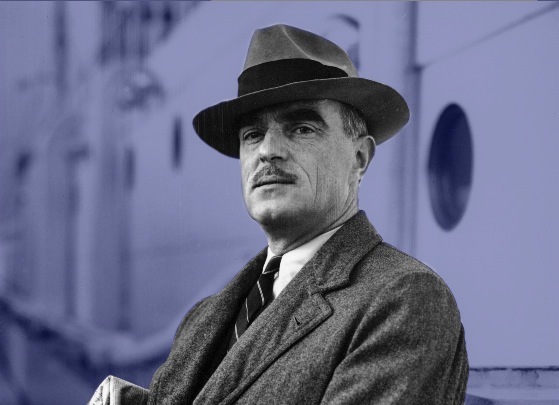 Beginning in early 1962, Thornton Wilder lived for some twenty months in the small town of Douglas, Arizona. He told his nephew that he hoped to find in Douglas a “solitude without loneliness“—a place where, away from the pressures of social obligations, from the concerned, instrusive eye of family and friends, he could read and write “at his own pace.” Below, still in Douglas, he writes to New Haven friend Catherine Collins, sharing his distate for various “polite” social situations and discussing the (apparently) restorative effects of his self-imposed exile from Connecticut society. The Indians here used to communicate with one another over a distance by puffs of smoke; and that’s what my letters are reduced to. As the months go by I have less and less to recount, but more and more in the way of affection and regard to express. I don’t miss the centers of civilization, but I do miss the occasion to express affection and regard. Lord knows, one of the principal reasons I fled civilization was that I had to pretend such occasions so wearisomely often (all Americans play-act a social ecstacy—I more than others); now society is taking its revenge on me. Please accept the smoke and the bonfire under it; it says in papago language: bonjour chère Catherine. It will require all your charity to understand me when I say that though I would be entranced to call on you this evening, and though it was always a happiness to come to dinner in East Rock Road,—an invitation to dinner with you tonight with the same friends would frighten me. I learned this on Thanksgiving Night at the seaport of Guaymas in Mexico. A friend had asked me to her house for the “rest of the turkey”; there were present two American couples, a Mexican couple and various children between 10 and 15. How quickly one becomes dishabituated. A dozen “personalities” in the room; two and three conversations going on; a distraction of lighting cigarettes and moving chairs and passing dishes and remembering names and being asked questions in non–sequitur. And it can’t be denied that people wear a different face when there are more than three in a room. When you live in isolation, as I do, you read more attentively. I pick up paperback novels in bus-stations. Ordeal of Richard Feverel—doesn’t hold up. Return of the Native—doesn’t hold up. Jane Austen: incomparable. How seldom readers seem to remark on all that contempt for the whole human scene that lies just under the surface,—oh, more than that: a desespoir contenu, une rage déguisée [a contained rage, a disguised rage]…but by her art her spirit has been saved from mere spinster’s waspishness and from cholor. In Moliere the same contempt became aggressive. A man of religious mind believes the human race is correctable. There is not a hope of that in these two. Jane Austen’s only resource and consolation is the pleasure of the mind in observing absurdities. 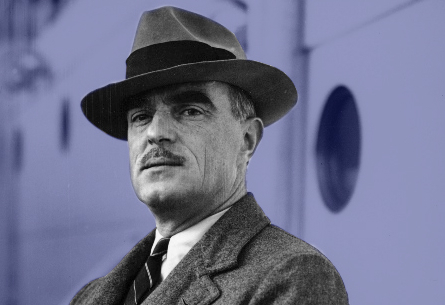 The other day in Tucson I looked up an old Yale friend Jack Speiden, Yale ’22, in the hope he was still running his dude ranch where I might go for a few days around Christmas and imbibe martinis in front of a great log fire. Well, he’s retired; his wife is a grievous invalid with three nurses around the clock—a fall from a horse. Jack tried to persuade me to stay and dine with them Wednesday with the Paul Chavadjadzies <Chavchavadzes>—you know the spelling—I presume the parents of Bill’s friend. But I returned to Douglas. Instead I am driving I think to Taos. Mabel and Tony are no more. Mabel rests and others are given a measure of rest. But I shall take Dorothy Brett out to dinner and ask her again of those old days—young D. H. Lawrence, Bertie Russell, Lady Ottoline, Katherine Mansfield…and about Mabel. It will be cold—it’s about 8,000 feet high—I hope I have cold’s compensation,—the beauty of snow. Today I bought myself a Christmas present: a record player. I have three records, The Back Magnificat; the Lotte Lehmann Lieder Recital; and the Mozart Sinfonia Concertante (Heifatz and Primrose). From Tucson I sent a little “something for your breakfast tray,” just a pensee, a puff of smoke but laden. To all, all the Coffins and the-in-laws much affection. For more on Wilder’s time in Douglas, click here.